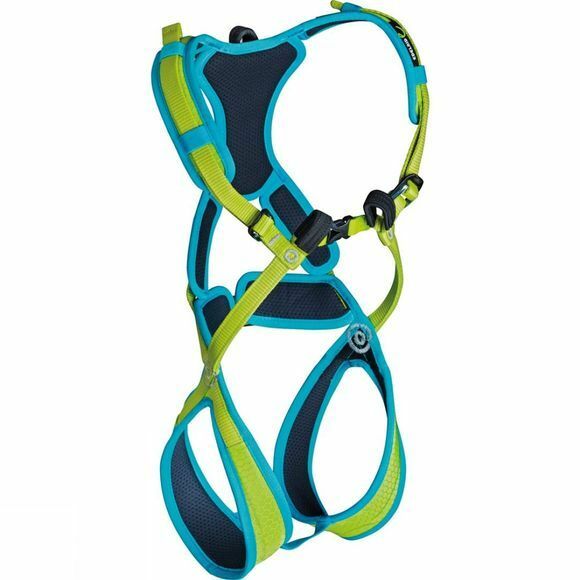 The Kids Fraggle II Full Body Harness is for children up to 40kg. Padding helps it keep its shape, makes it more comfortable and also makes it easier to fit and remove. A tie-in loop at the back secures the child on rough or steep terrain and can even be a guide while skiing.